Pizza and movies are our favorite way to spend Friday nights! We like to have movie night. We all get together after work, eat pizza and watch a movie. Lots of fun !! We combine pizza with a movie night! Always a good time! We can make family night fun with Dominos and tossing in a movie! We love pizza and movie nights! Combining games and pizza night! Or movie night! We also do a combined pizza and movie night for an extra dose of fun! We like pizza on nights we stay in and hang out. The garlic bread is a must. We try to have pizza and TV football on the same night. 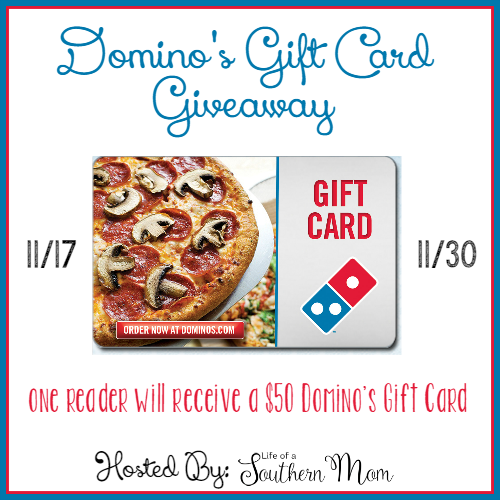 I can have a great family night with our favorite Domino’s pizza with movies & board games to play! It will be playing board games with the family followed by a movie night. Thanks! Pizza and a movie would be great for us! Pizza and our Friday family game night would be perfect!! Watching movies and eating pizza – it doesn’t get any better than that! Having pizza night and watching a movie on the weekends. We love doing a Netflix marathon night, and we veg in front of the tv. Dominoes would be great fun to add to it! We love getting a pizza and watching Shark Tank on Fridays and then coming up with our own great invention ideas! We would love to have a pizza and movie night for lots of family fun. Family night at our house involves movies, laughing and pizza. Play games and eat Dominos! Family game night and Domino’s. Pizza,wings,and cheesy bread are a must for COLTS football! We make it fun by getting a couple delicious pizza and making it a movie or game night. Thank you for the chance to win! Ordering pizza and watching movies would make our family nights FUN! I love Domino’s! We don’t really have family night, since we don’t have kids but we especially love their sandwiches! I love Domino’s pizza. Count me in! We like Dominos pizza during Sunday night family game night. Play games while eating pizza! We could enjoy pizza while we watched holiday movies. It would give me a night off from cooking. Playing board games would be fun.